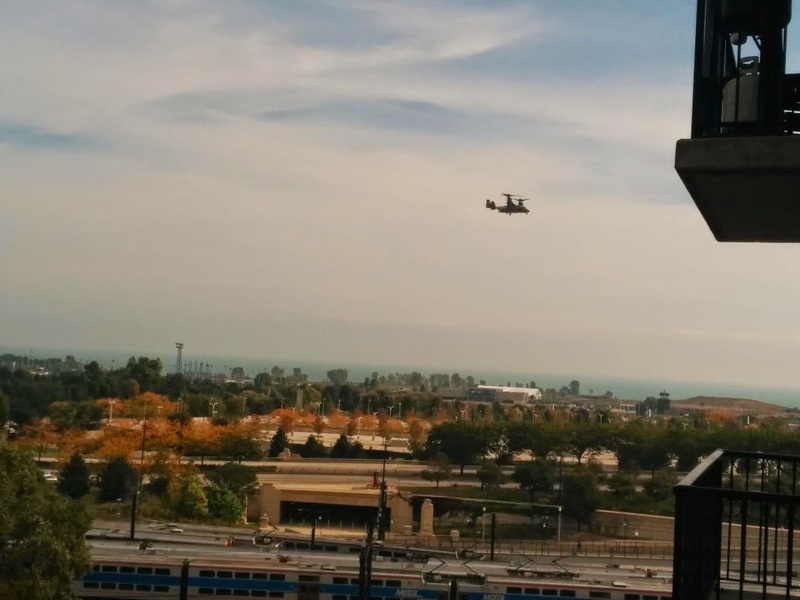 As you may or may not know, when President Obama comes to Chicago his trip usually involves a trip on Marine Force One from O'Hare to Northerly Island (what we assume is to avoid/cause crazy traffic on the highways as well is probably better for security purposes). This most recent visit sounded like he flew into Gary Indiana's airport before taking Marine One to Northerly Island according to CBS2. 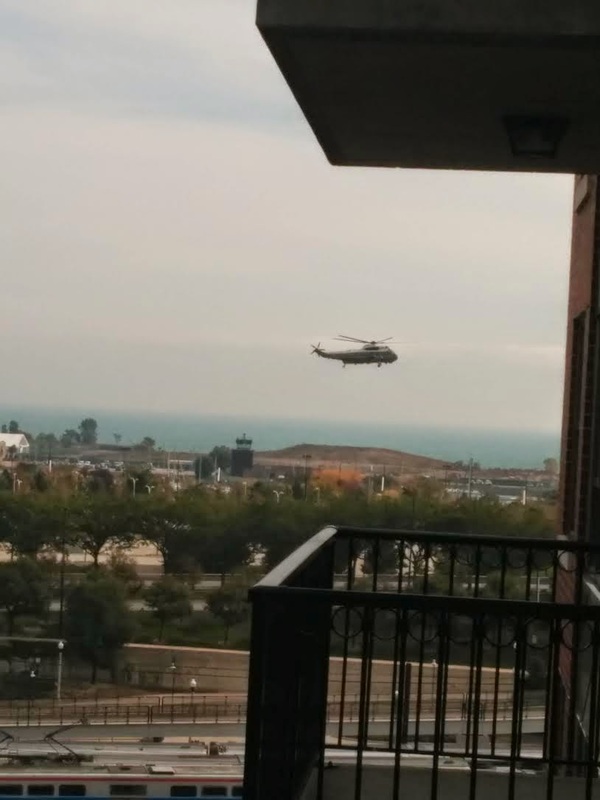 Attached are photos I took from my balcony of the air force one helicopters over northerly island, and then the motorcade driving by after on lake shore drive by soldier field.